Ready for some new Swedish crime to warm your winter? 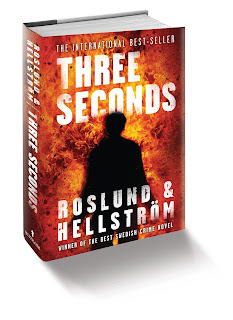 THREE SECONDS is the latest title from Roslund and Hellstrom, due to release on January 4, 2011. 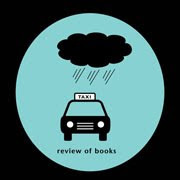 Perfect for the 2010 Scandinavian Reading Challenge, this combines all the elements of action, procedurals, and suspense in one award-winning title. It's already been released in Europe, and received the Swedish Academy of Crime Writers’ Award (Svenska Deckarakademins pris) 2009 for Best Swedish Crime Novel of the Year. It is now translated into English and ready to hit the US. The Black Sheep Dances has been authorized to giveaway 10 free Advanced Review Copies to winners of this contest. Odds are, if you enter, you will win! Please leave a comment with your email and I will select the ten winners randomly on November 19, 2010. I will then give her the mailing addresses and your copies will be sent via publisher to you. US and Canada only. Followers only please! 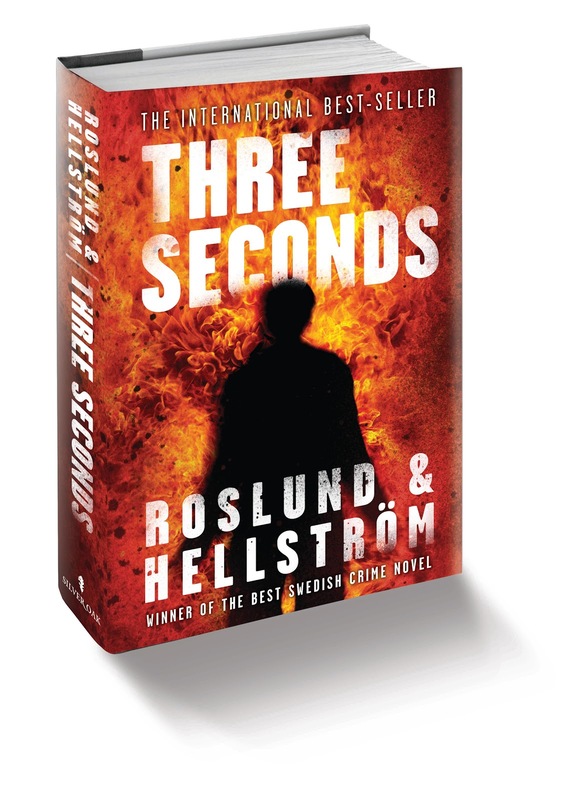 You can visit the website for the authors and see their other titles at http://www.roslund-hellstrom.com/. The film rights have already been purchased by 20th Century Fox. I haven't read it yet, but am eager to see a new title for English readers. Will it be dark and gloomy? Probably. 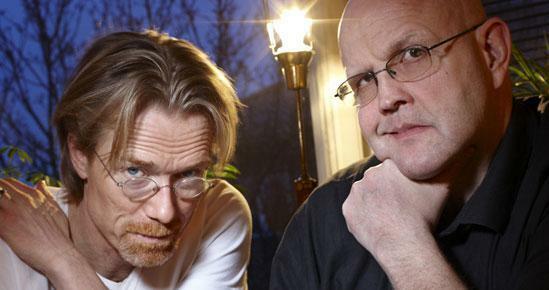 Do these guys look cynical? Possibly. Enter and see! Elizabeth from Silversolara won the Breaking Night Giveaway...I've emailed her and she has 48 hours to respond or another winner will be selected! Congratulations! It has Polish mafia in there. Ha! I'd love to read about that one, lol! I'd also love to win this title. I just saw an ad for this in the Publisher's Weekly e-newsletter and added it to my TBR list. Thanks for the chance to win it! I am really interested in this one. I follow with GFC. Username: missreneer. Great offer--sorry if I send more than one comment, I've been having trouble making the comments work, and keep trying. I'm waiting impatiently for the U.S. release date of Three Seconds, so your "contest" is a great opportunity. Sounds interesting. Just signed in as a follow on gfc. What a great contest! Thx.. now a follower! I would really like to be entered for a chance to win, I already have this book on my wishlist. I am a follower. I would love to read Three Seconds. Please enter me in this giveaway! Enter me, thanks. I follow you on gfc now. I have not read a book by the authors and I would like to read this one. The storyline is interesting. Would love to win this one! I am a GFC follower. Thanks for this-Tom and Cookie are adorable. I'd love to read this book. Please enter me into your drawing. Thanks! I am a follower and would really enjoy reading this book. I am certainly a fan of Swedish writers. New follower. Count me in! gfc follower. Sounds like an interesting book. The Stieg Larsson books definitely have me wanting more from Sweden! Thanks for the chance to win! I am a GFC follower of your blog. Thanks for the great giveaway. Hi Amy, this sounds like fun! Sign me up. This sounds great! I would love to win this ♥ Thanks for hosting a great giveaway! Amy, Amy, I just looked at my message. Please, I want to read it. I'm in the mood for an International crime. Pretty please with a cherry on top. Thanks for leaving the message. Sounds like a must read. Enter me. Cool, thanks for the giveaway. I'm a big fan of Scandinavian crime fiction, although I would like to read more. Thanks!